I was teaching class on Wednesday night. It’s a class that hasn’t been very well attended. It is a Yin Yoga class and although my monthly Yin class is well attended by my regular students, this weekly class hasn’t really taken off. There are a number of reasons why this could be: Yoga teachers in general are feeling the bite at the moment; I know I should probably need to do some more targeted marketing; and if that doesn’t work, accept that perhaps Glasgow just isn’t ready for so much Yin and do something that people do want. There are lots of things I can do. However, I have such a belief in this profound practice that every week, I show up and I “hold” the space for whoever comes. Sometimes there will be five people, sometimes just one. Every time, I remember to teach from the heart, and mindfully acknowledge why I am there. And I always find that I can take joy in that one person who has come to receive the practice. I also have faith in my passion for and ability to teach the practice, and I have also been teaching long enough to know in my heart that it is not because people don’t want to be taught by me. But on Wednesday night, when just two people came, what was in my heart was despondency. This is a tough admission for a Yoga teacher, that we get pissed off like everyone else. That we feel sorry for ourselves like everyone else. That we sometimes feel hopeless. But I have learned over the years, and from the teachers that have taught me, and whose teaching I respect, that one of the biggest gifts I can give as a teacher is to show that I am human. As I began the practice, I felt this upwelling of emotion. I was feeling sorry for myself. It is at times like these, that I am thankful for my mindfulness practice, and I was able to do something with what I was feeling, in order to continue to hold the space, and teach. As my students were attending to their breathing, I was attending to mine, aware that the feelings would pass. I sat and enjoyed the vision for a while and then realised, of course! 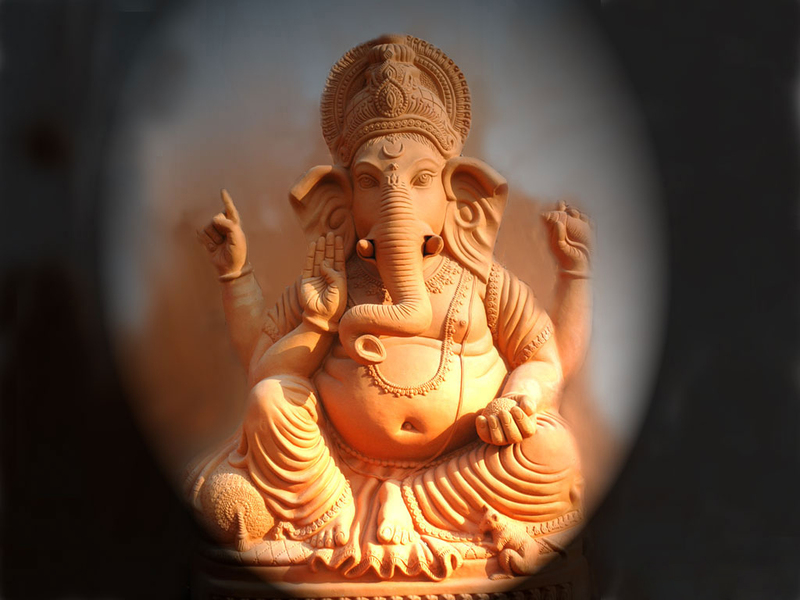 Lord Ganesha is the remover of obstacles. Whether Ganesha was indeed appearing before me, or whether the image was a vibrant product of my own imagination is neither here nor there. I was being reminded of the obstacles that I was creating for myself by allowing this negative thinking to take hold, even for a moment. I was able then to move on with my teaching, joyfully, in the knowledge that I had a couple of pretty powerful assistants. The next day, it also led me to think about what the other obstacles might be, and not just the practical ones. My sister said to me the other day – talking about her own experiences- that it is often when we finally let go of something that we have been holding on to that we make the energetic space to allow other things to come into our lives. And sometimes when our energies are divided or scattered, then we are not 100% energetically committed to what we are doing at any one time. So it is a time for clearing some space. I have begun to let go of some things. This isn’t necessarily an easy process. Letting go is never easy, even when it is about ridding yourself of something that is causing you pain. When it is something you love, then making space is even harder. Of course, the divide isn’t necessarily clear. We have all had experience of loving something that isn’t good for us! This is where Ganesha can be a strong ally. 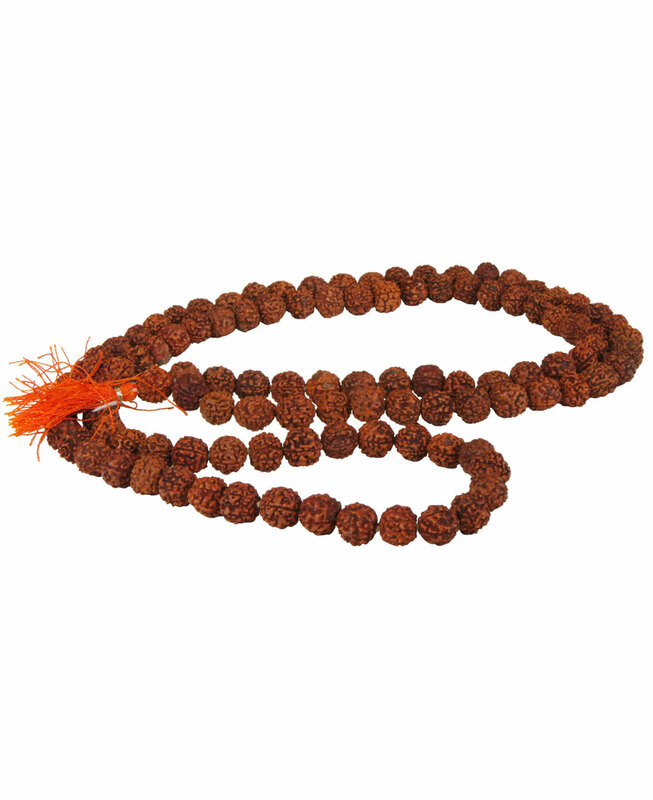 And one of the ways that we can tap into his energy is by chanting. It is common for a Ganesha mantra to be chanted at the beginning of an undertaking, and often at the beginning of yoga classes in some traditions. A few years ago I undertook a 40 day mantra discipline. 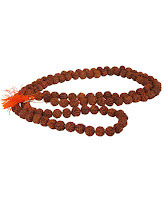 Every morning at sunrise I got up, sat in meditation and did Japa – mantra chanting – of the Ganesha Mantra “Om Gam Ganapataye Namah” I chanted 108 times ( one round of the mala) every day of 40 days. I had no agenda in chanting. I didn’t hold any mental picture of what I would like to change. To be honest, I was conducting a bit of a personal experiment. And do you know what? It bloody worked! Within weeks, everything changed. Everything that was holding me back. Some would believe that it was intercession, some that it was some aspect of myself that was being manifested. Either way, obstacles were removed. Big time. Even some that I wasn’t even aware of. A reminder, I suppose of “Be careful what you wish for”. I may or may not do the mantra again (mindful that obstacles may be removed that I wasn’t expecting!) but I am going to be committed to cultivating that energy that does not create obstacles.